The increasing need for arthroplasty in younger patients, and encouraging results with various cementless implants in hip and knee surgery, has provided the impetus to persist with cementless fixation for all components of knee arthroplasty. 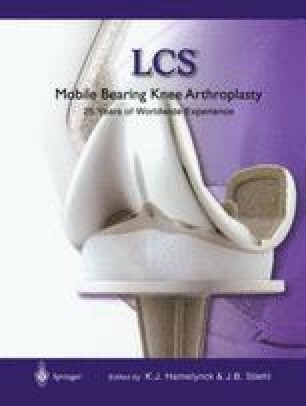 Historically, cementless femoral components have always provided reliable and longlasting fixation. Patellar fixation has been plagued by high failure rates of a few specific designs. Tibial fixation has been more controversial, due to inconsistent results with a wide variety of implant designs.